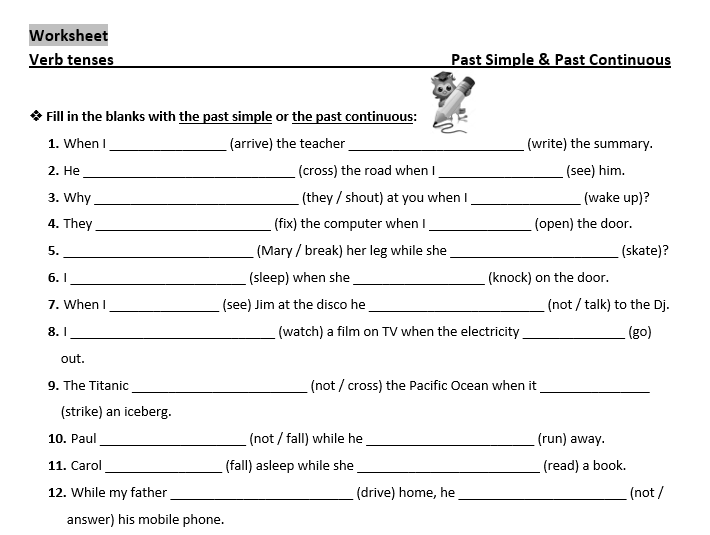 In this worksheet, students should use two tenses (past simple and past continuous) by filling in blank spaces. 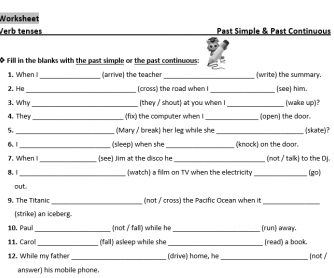 Rules about when each tense is used must be learned before trying to solve the worksheet. I hope you find it useful and interesting to work with your students!